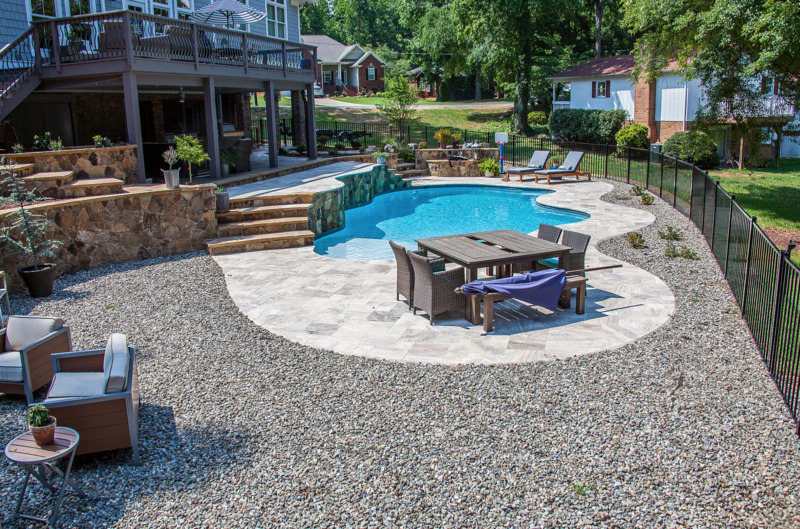 Homeowners in Lake Norman looking to install a new pool in their backyard should compare concrete pools to fiberglass pools before making their decision. 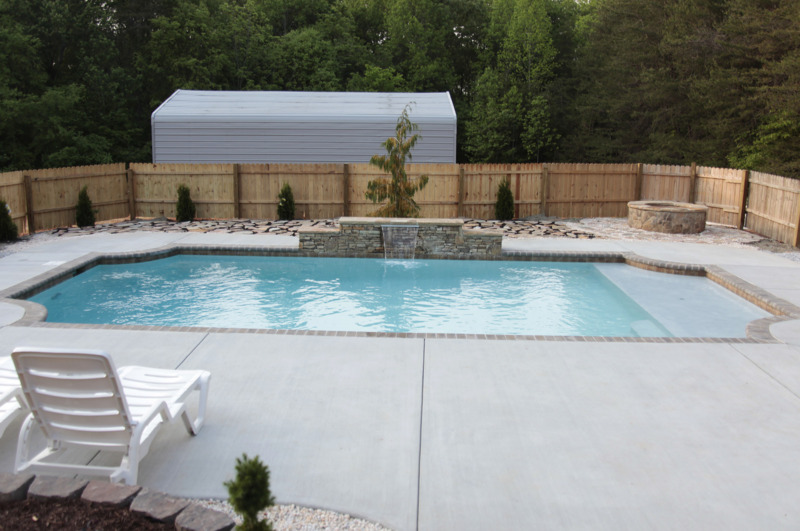 At Carolina Pool Consultants, we get asked all the time, “which is better, a fiberglass swimming pool or a concrete swimming pool?” While the answer depends on what you are looking for in a pool, we most often recommend and install concrete pools, and here is why. 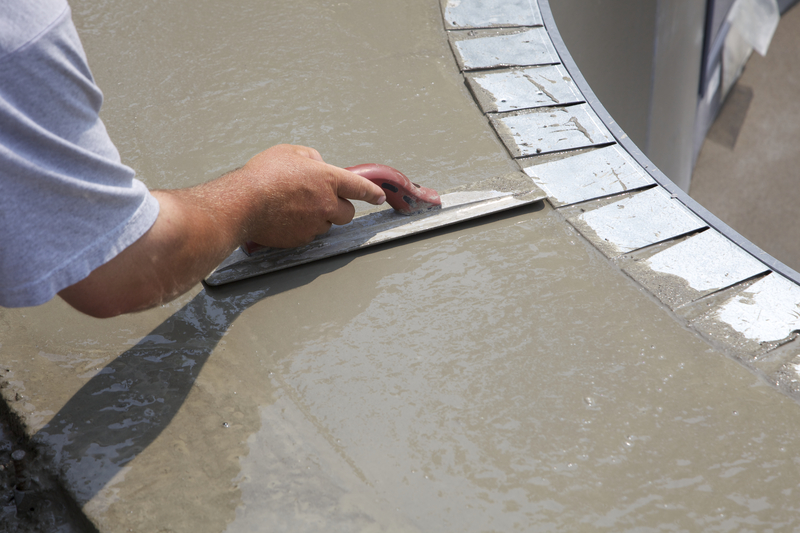 When you are deciding between a fiberglass swimming pool or a concrete swimming pool, it is important to consider the long term benefits of concrete pools. 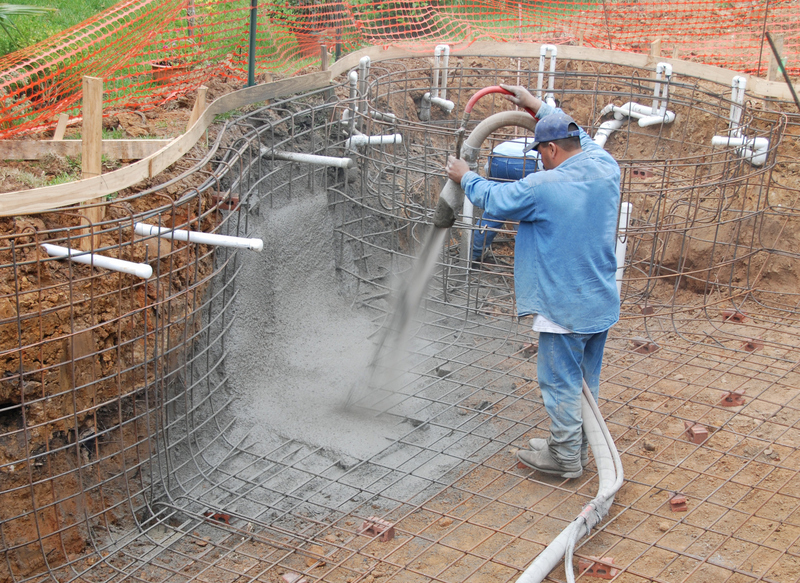 Homeowners that invest in a inground concrete swimming pool will have unlimited options in terms of how they want their pool to look, how deep they want their pool to be, the size of their pool, and whether or not they want any special features such as an attached spa, waterfalls, or underwater seat-shelves. 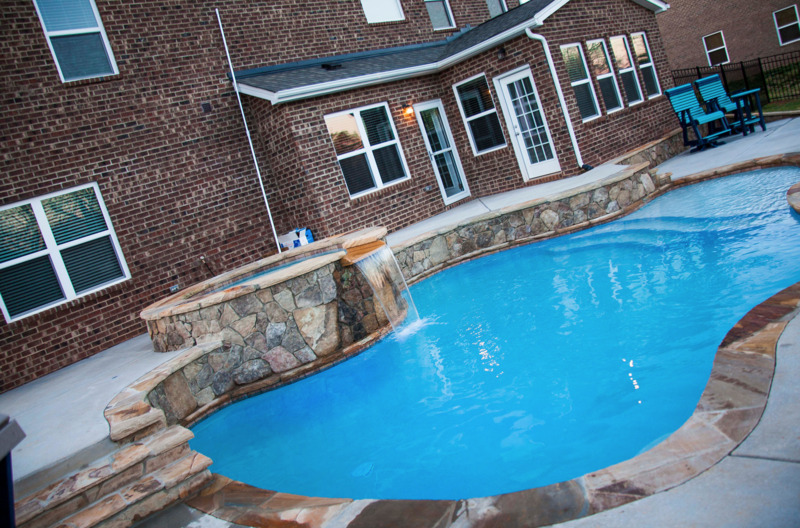 Fiberglass pools do have a lower up front cost when compared to concrete pools but are susceptible to damage from inclement weather, can get chips and scrapes from normal use, and end up costing more money in the long run. 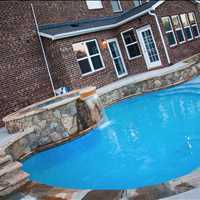 Moreover, fiberglass pools are shipped to your home in their final form, so you have little choice when it comes to customization. 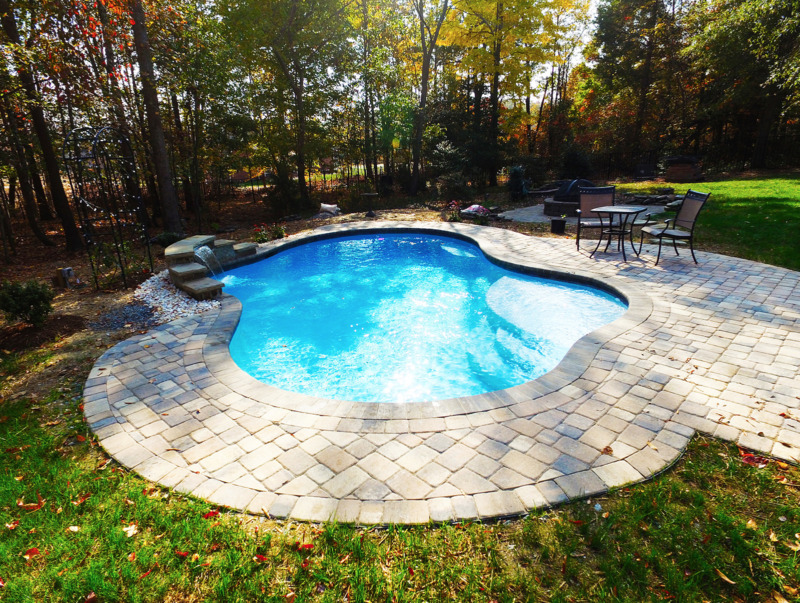 Concrete pools are lower maintenance in the long run and can be customized into really any shape, size, or depth that you want, allowing homeowners to build a truly custom pool that is unique to their needs. 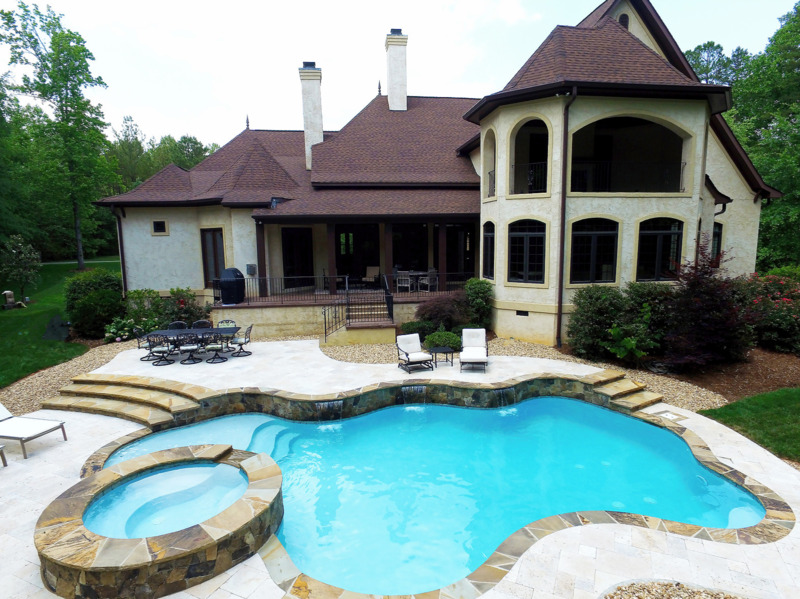 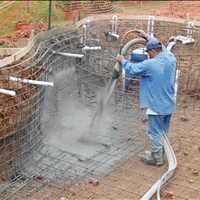 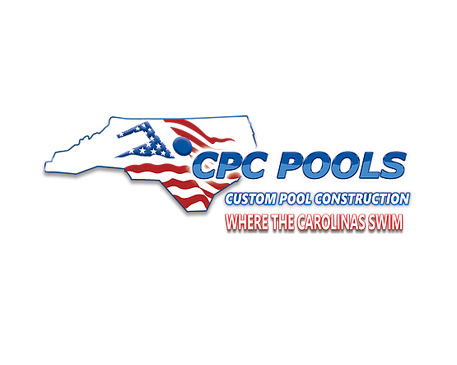 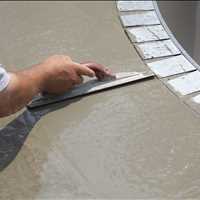 Schedule your Lake Norman concrete pool installation with year round pool builder Carolina Pool Consultants. 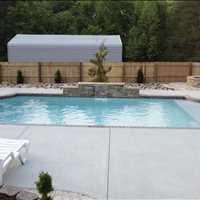 We build and install custom concrete pools for less and can help you transform your backyard with a beautiful new pool. 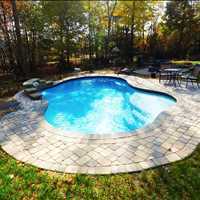 Get your backyard ready for Spring or Summer and let us have your new pool built before the end of the year.